Did you vote? And why or why not. National Parks of Alaska? Anything close to you? Have you been or gotten a stamp? How is the car situation going? 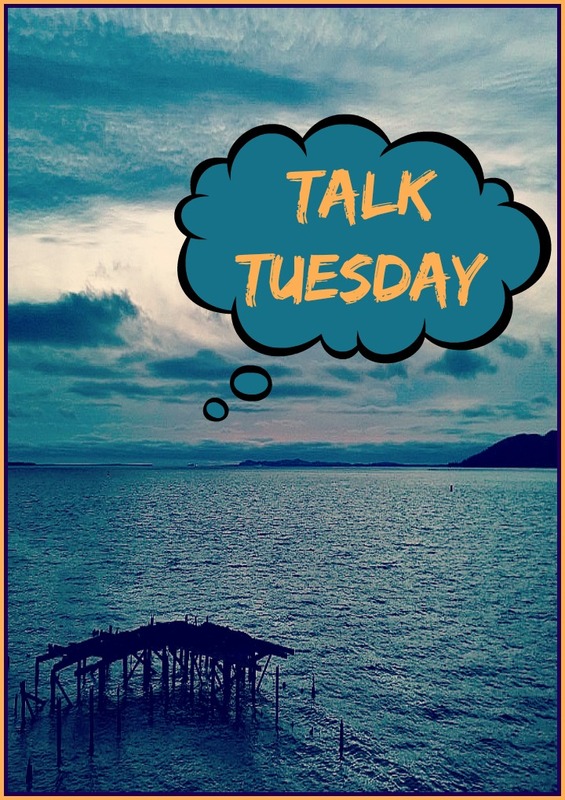 Talk Tuesday is my most read post every week. It is where you get to ask me whatever you want and I answer you here. Did you miss the prior weeks, take a peek as there is some good stories in there: Week 1 | Week 2 | Week 3 | Week 4 | Week 5 | Week 6 | Week 7 | Week 8 | Week 9 | Week 10 | Week 11 | Week 12 | Week 13 | Week 14 | Week 15 | Week 16 | Week 17 | Week 18 | Week 19 | Week 20. Have a question for me about anything under the sun? Ask away in the comments below before next Tuesday. For the most part, I try to wait until I am in Phoenix and Alyssa Bykerk with Salon Michele Rene cuts it. Just recently I had Liz Foster in North Vernon cut it. I am so terrified every time I go to someone new. So it had been 7 months since the last time I had it cut. For the first time in my life, I did not vote. I couldn’t tell you what was on the ballots in Arizona, but I sure have an opinion on all these Alaska issues and politicians. I should have either requested an early ballot from Arizona or made Alaska my home state. I didn’t do either. To be honest, I have had my head full of major decisions lately and this one slipped past me. I won’t make this mistake again. Hopefully, this will be the only time in my life that I don’t vote. I don’t take it lightly and am grateful that I have the right to vote and to have my voice heard. I am surrounded by National Parks everywhere I go. Here are the ones I have been to so far. Denali National Park: This is where Denali or Mt. McKinley is which is the tallest mountain in North America at 20,320 feet! It is so tall that it has its own weather system. Because of that you can only see it 30% of the time. I have only seen it once for a few minutes when I was staying at the Talkeetna Alaskan Lodge. I did go back up to Denali and took a bus back and saw some really incredible views. It is a definite must-go back place this next spring! You can’t even see a smidge of the mountain – it is totally hiding behind those clouds. Kenai Fjords National Park: You know all those pics down in Seward of the whales and the glaciers meeting the ocean? That is Kenai Fjords! It is by far the most beautiful place I have ever seen in my entire life. 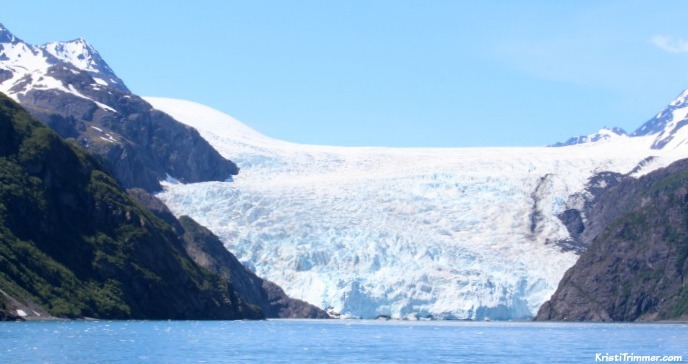 Nearly 40 glaciers flow from the Harding Icefield, which is one of the major draws of Kenai Fjords. This national park is about 2 hours south of Anchorage. I go any chance I get and I am SO looking forward to seeing it in the winter and taking a snow machine back to Exit Glacier. Chugach National Forest: Chugach is the 2nd largest forest in the United States. It surrounds most of the Kenai Peninsula and Prince William Sound. When you see me post from my favorite place, Beluga Point, that is in the Chugach National Forest. When you see me post from where I’m staying up in Eagle River, I am still in Chugach. It is HUGE. There are 23 national parks in Alaska, I have more to go too… but boy, they are not exactly close! I get a stamp whenever I can and most have different stamps out so I get choices! Luckily, pretty well. This weekend I will get an oil change and make sure the antifreeze is changed over too. I still need a block heater too. But all in all, I feel better about it. I plan on going to a large parking lot and practicing sliding and coming out of skids. Fun times!